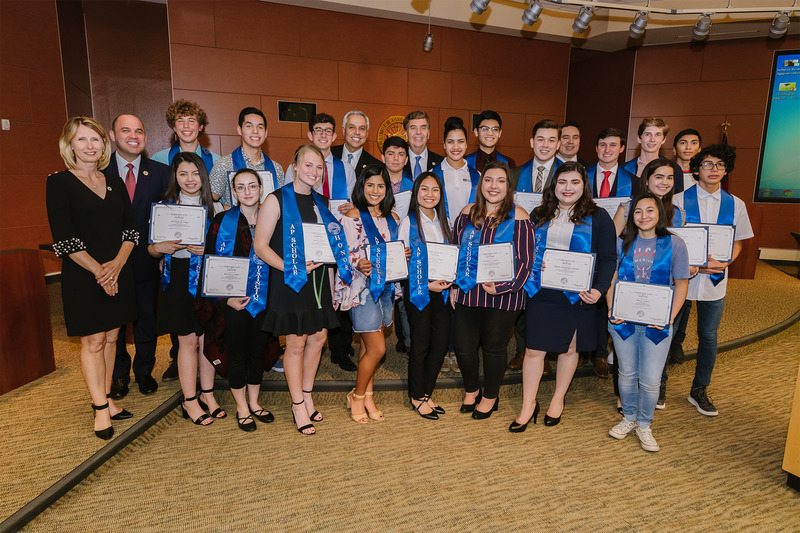 Harlingen CISD recognized the 2018 high-school scholars from Harlingen High School, Harlingen High School South, and Harlingen School of Health Professions. Student recognitions were based on GPAs, AP exams, and/or standardized testing results. 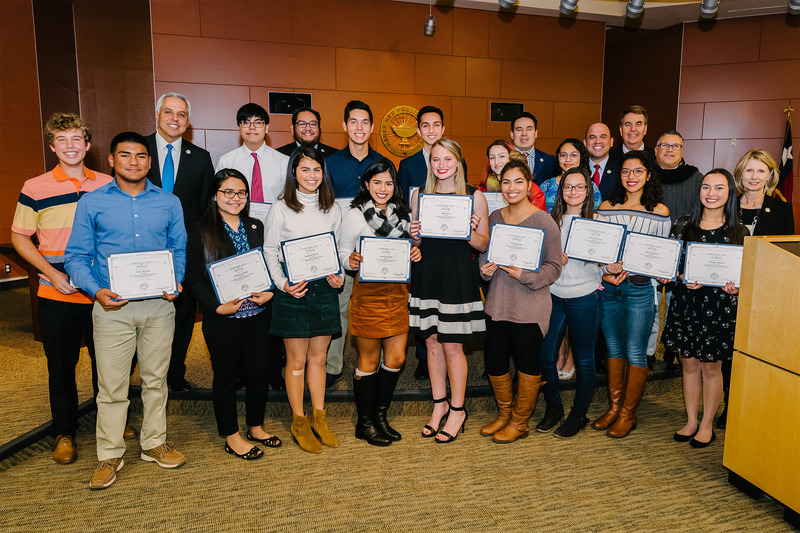 The National Hispanic Recognition Program recognizes approximately 10,000 from a pool of about 200,000 students. The recognition is based on a combination of PSAT/NMSQT score and GPA. The National Merit Scholarship Program is an academic competition for recognition and scholarships that began in 1955. High school students enter the National Merit Program by taking the Preliminary SAT/National Merit Scholarship Qualifying Test. 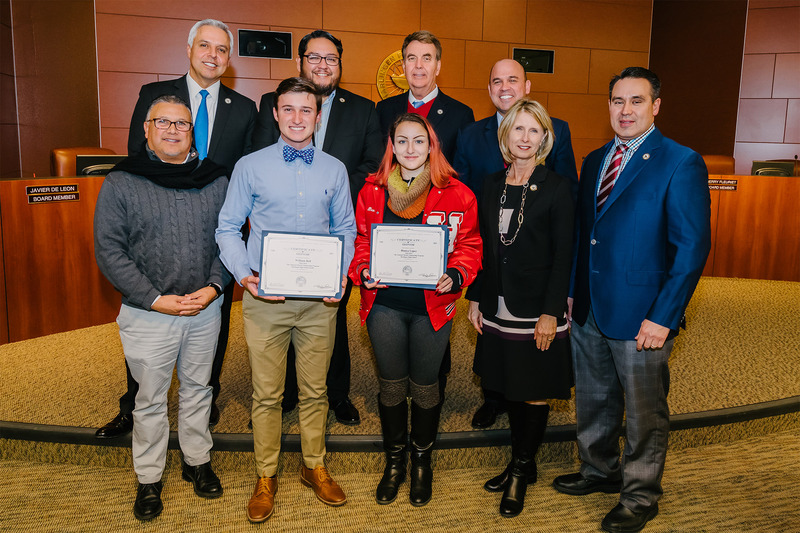 More than two-thirds (about 34,000) of the approximately 50,000 high scorers on the PSAT/NMSQT® receive Letters of Commendation in recognition of their outstanding academic promise. AP Scholars are recognized as part of a small group of students. Only 18% (180,000) of the more than one million high school students who took AP exams performed at such a high level to merit this recognition. The following students qualified for the national AP Scholar Award by earning a score of 3 or higher on three or more AP exams. The following students qualified as AP Scholars with Honor by receiving an average score of at least 3.25 on all AP exams taken and scores of 3 or higher on four or more AP exams. The following students qualified as AP Scholars with Distinction by receiving an average score of 3.5 on all AP exams taken and scores of 3 or higher on five or more of these exams. The following student qualified as a National AP Scholar by receiving an average score of 4 on all AP exams taken and scores of 4 or higher on eight or more of these exams.